Cases concerning the support of minor children come to the juvenile court in a few different ways. 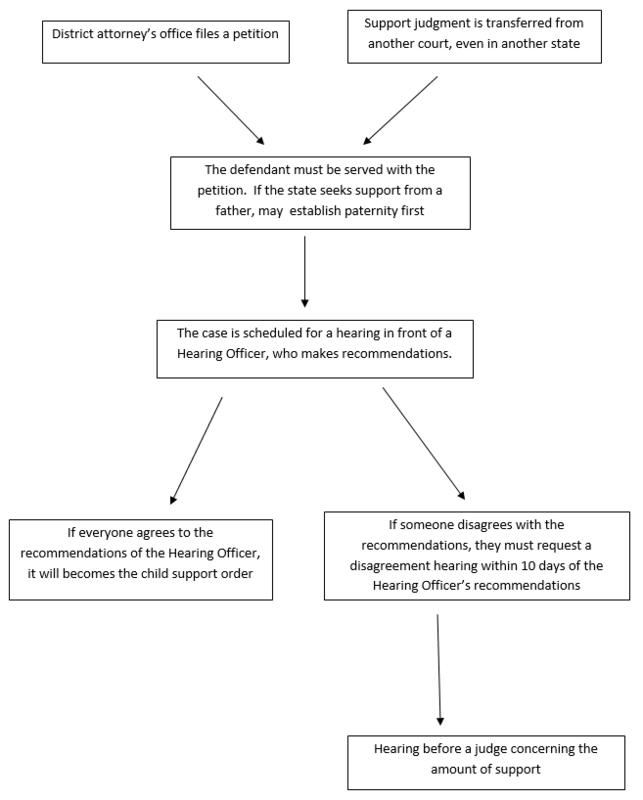 If there is a child support case in another court, even if it is in another state, that support case may be transferred to this Court. Or the state of Louisiana, through the district attorney’s office, may file a petition for support of children after a person caring for the children contacts them for help getting support. Finally, if the children receive services through a government program (such as WIC, SNAP or Medicaid through the Department of Children and Family Services) the department may ask the district attorney to file a petition seeking support from the parent or parents who are not caring for the child at that time. Write Docket Number and/or LASES (if for child support) on the bottom of document. Payments in person are accepted in the form of money order, cash or credit card (Visa or Mastercard only). Payment window located in courthouse front lobby (1546 Gretna Blvd, Harvey).